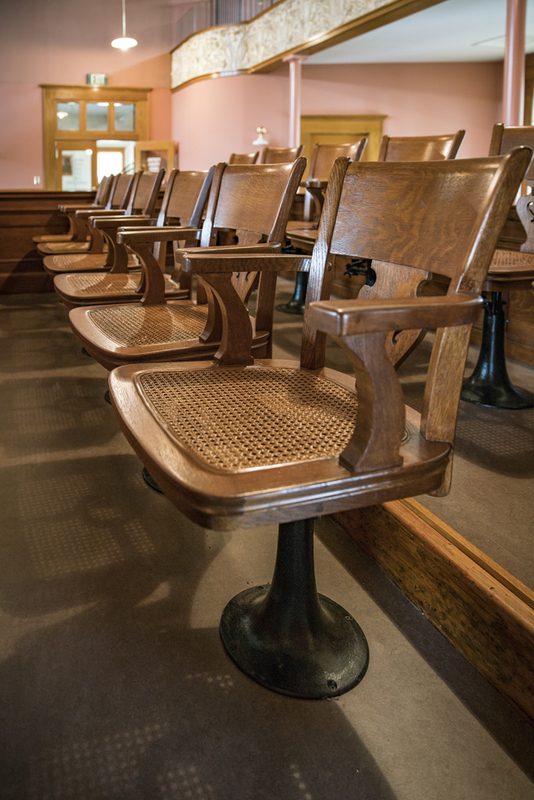 With its updates in security and accessibility, there’s no better time to see the courthouse as it was when first opened in 1905. 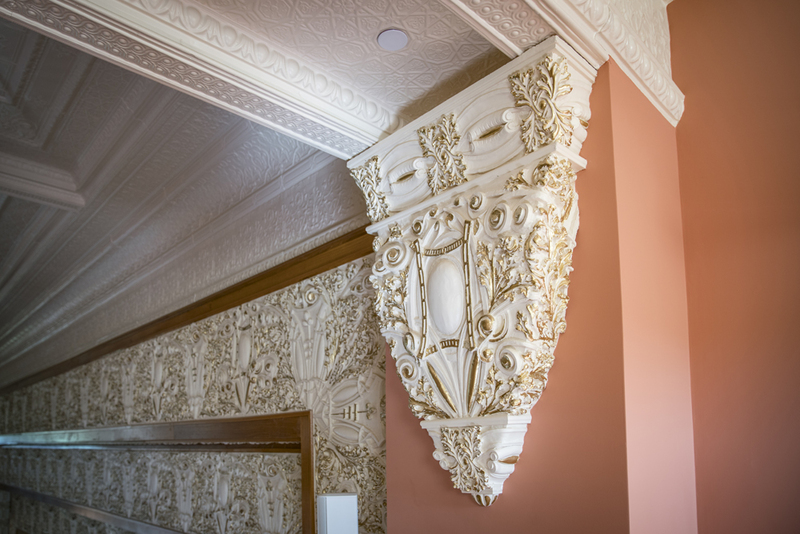 The original Beaux Arts design by Dallas architect J.E. 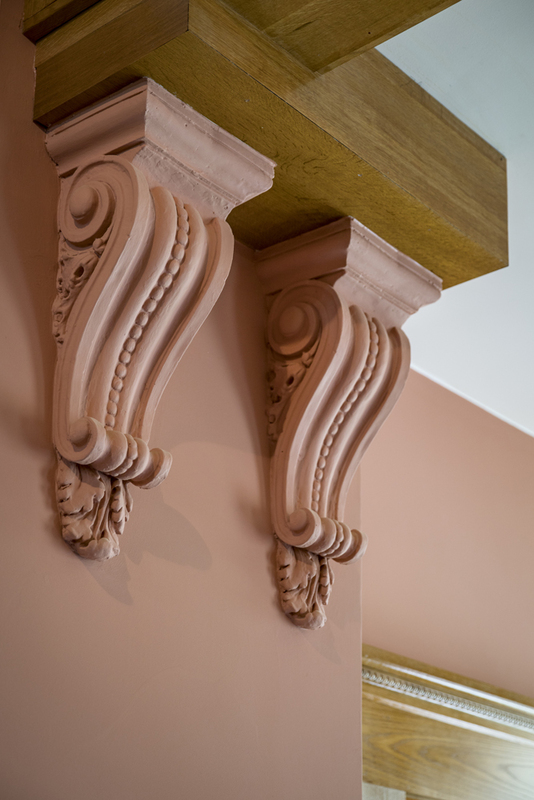 Flanders, along with many intricate details throughout the building, are now freely available for viewing. The Lady Justice statue atop the entry was replicated to replace the original copper version rumored to have been removed in the 1940s for donation to the war effort. 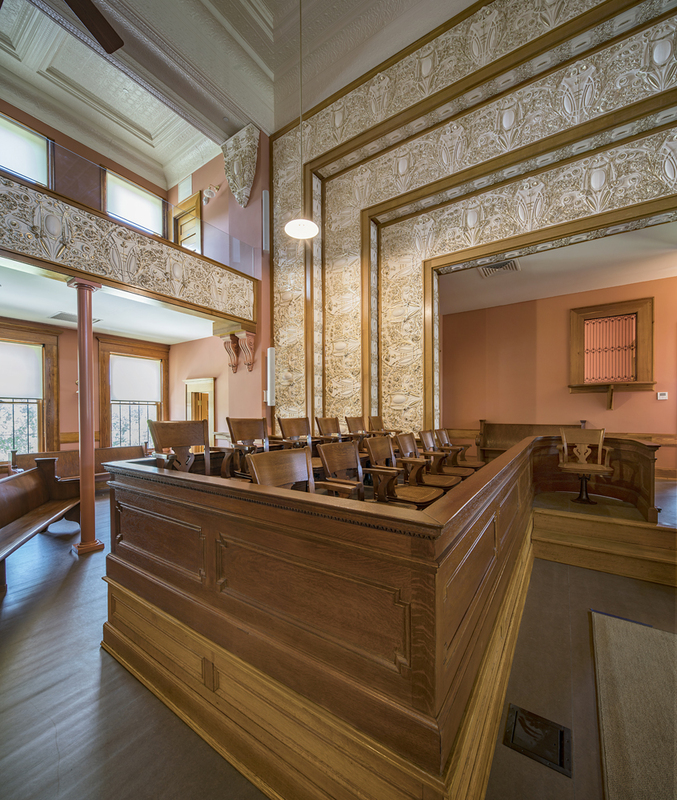 The district courtroom has been restored to its original two-story height with beautiful panels encasing the balcony and judges bench. 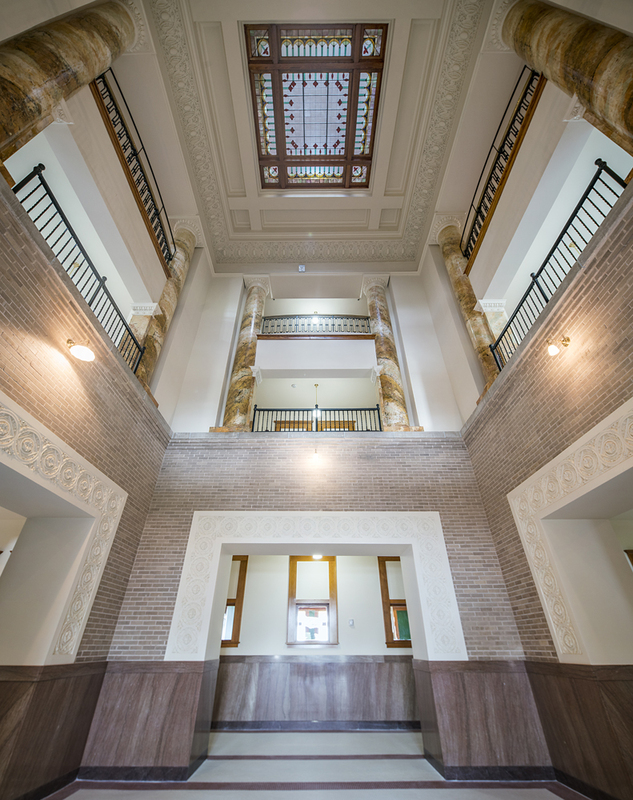 Visitors to the courthouse’s central atrium will notice the impressive columns rising from the second to fourth floors. 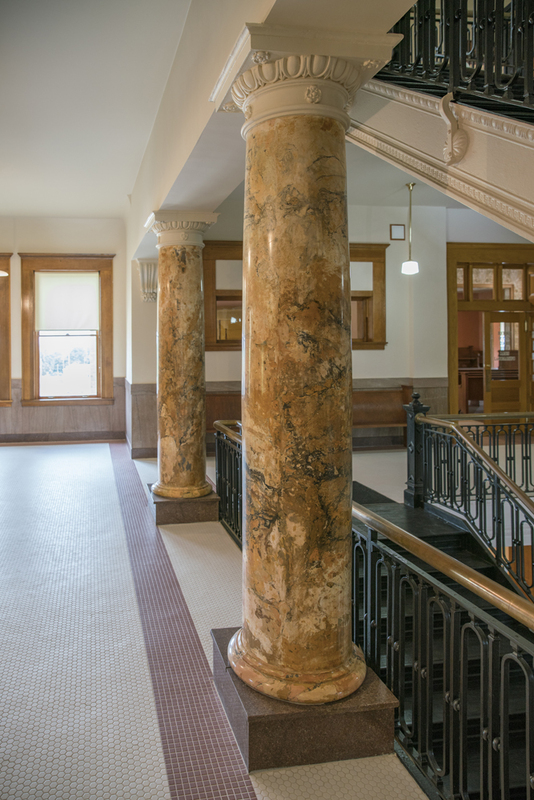 While they look like marble, each column is made of scagliola, a unique finish developed in Italy that’s not found in any other Texas courthouse. The finish is made of layers of tinted plasters that convincingly imitates marble—so much so it even fooled a structural engineer during the courthouse’s evaluation. The Navarro County Courthouse is one of five remaining buildings in the U.S. with this unique building material. 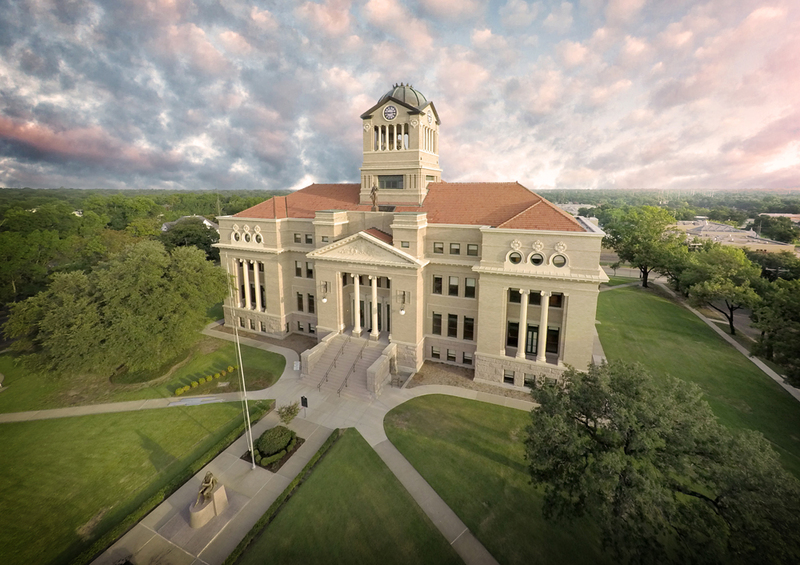 Having lasted through oil booms, the arrival of automobiles, and world wars, the courthouse will continue to serve as a focal point of Corsicana’s community long past its 111 years—but it won’t do it alone. 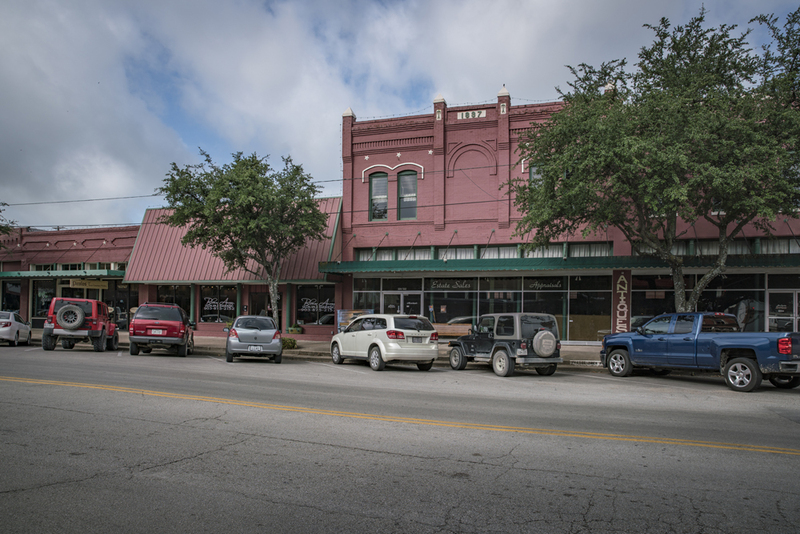 The city was one of the earliest participants in the Texas Main Street Program, and today downtown Corsicana is a growing, flourishing, and charming marketplace, office, and residency. For connoisseurs of fruitcakes or baked sweets in general, Corsicana has been home to the world-famous Collin Street Bakery since 1896. Today, the bakery satiates the cravings of regular local customers, hungry travelers on nearby I-45, and curious fans around the globe with its mail-order system. Stop by and try the DeLuxe® Fruitcake, Texas pecan cakes, pies, cookies, and even pickles and dog treats. Collin Street Bakery is a recipient of our Texas Treasure Business Award, which recognizes the accomplishments of Texas businesses that have provided employment opportunities and support to the state’s economy for at least 50 years. Corsicana is also home to the Pearce Museum at Navarro College, which provides a human perspective of the Civil War and life in the American West. The Civil War Gallery gives visitors an overview of the war with a focus on the plight of the common soldier during and after Gen. Lee’s surrender at Appomattox Court House. The Western Art Gallery features works of art depicting many aspects of the historical and contemporary Western experience including cowboys, Indians, settlers, and pioneers. A rare sight for curious visitors is Temple Beth-El. With its clapboard siding, keyhole windows doors, and onion domes atop octagonal towers, the temple is a rare example of Moorish Revival architecture in Texas. It was originally built by a Reform Jewish congregation in 1898, and the restored building now serves as a community meeting center. 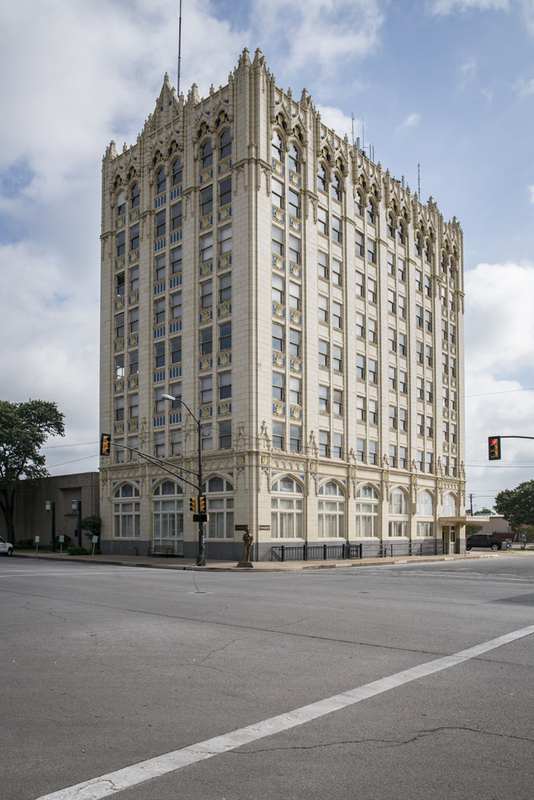 Corsicana gives travelers the unique chance to see historical structures with a personal touch, both newly restored and accurate for their time period. 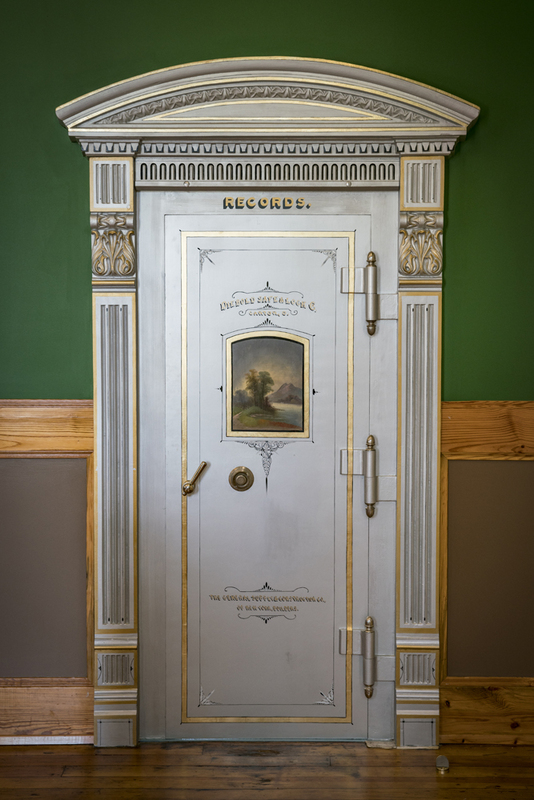 Take a visit to Corsicana to see (and taste) this history for yourself! For more great heritage destinations in the Corsicana area, visit TexasLakesTrail.com! Read more about Corsicana in the Handbook of Texas Online. 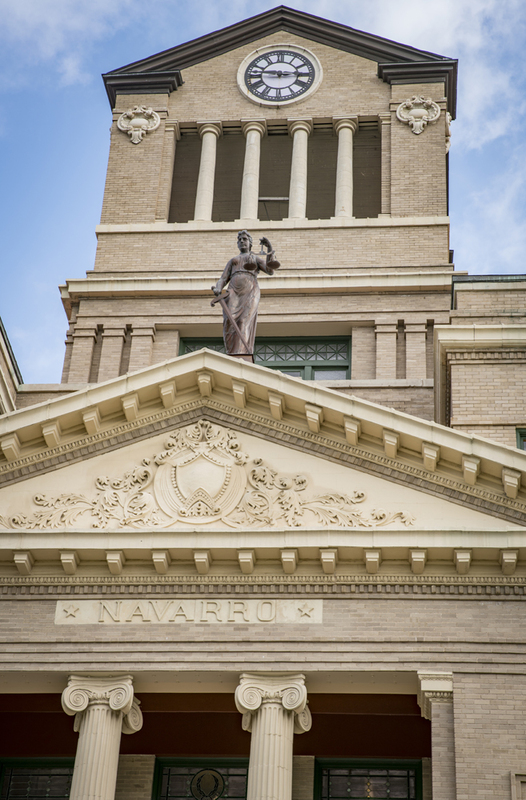 The courthouse once again displays the original Beaux Arts design by Dallas architect J.E. Flanders.